Tópico em 'Astronomia' iniciado por Luis França 5 Dez 2007 às 17:27. But then, when you live in the most remote place in the world, getting help is never easy. 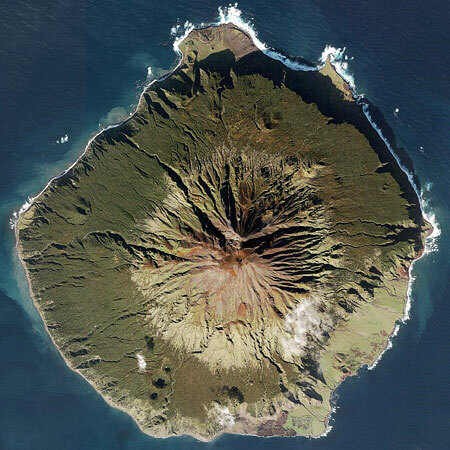 Tristan da Cunha (population: 275), lies in the South Atlantic, 2,173km (1,359miles) from its nearest neighbour, Saint Helena. SAN JOSE -- Costa Rica's Turrialba volcano on Wednesday began spewing vapor and gas, raising alarm among experts over a potential eruption though no evacuations have yet been ordered, officials said. "Reports from neighbors located at the foot of the volcano indicate that a thick white column of gas and vapor has begun rising from the volcano's crater," said the Costa Rican Volcanic and Seismologic Observatory. It added that witnesses have over the past few weeks reported fields burning nearby Turrialba, which is located 40 kilometers (25 miles) from the Costa Rican capital San Jose. Officials have been closely monitoring Turrialba since May due to a mild increase in its seismic activity. Around 40 kilometers (25 miles) away from the volcano lies a city by the same name, most of whose 80,000 residents cultivate sugar cane or coffee or are involved in tourism, the main industry in the Central American country of 4.2 million people. The volcano last erupted in 1866. Scientists using 3-D scanning of the deep interior of Earth have found evidence of a vast water reservoir beneath eastern Asia that is at least the volume of the Arctic Ocean -the first time such a large body of water has found in the planet’s deep mantle. analyzing more than 600,000 seismograms—records of waves generated by earthquakes traveling through the Earth—collected from instruments located around the planet.